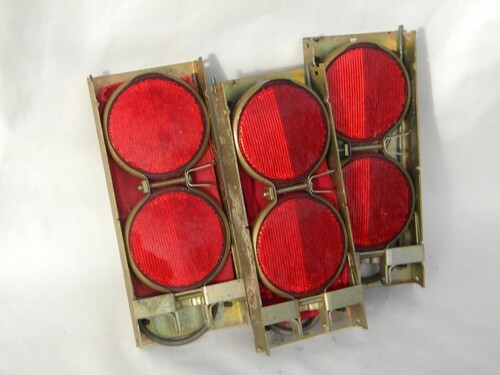 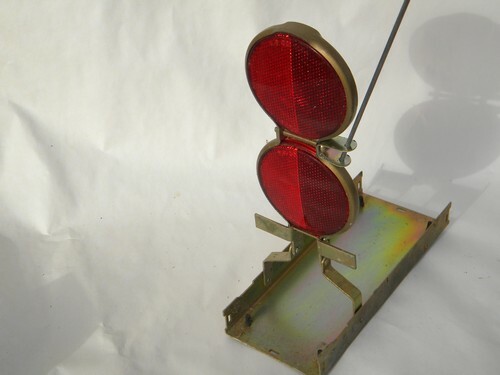 Lot of three old, hotrod vintage, safety signal flares for automobiles and trucks. 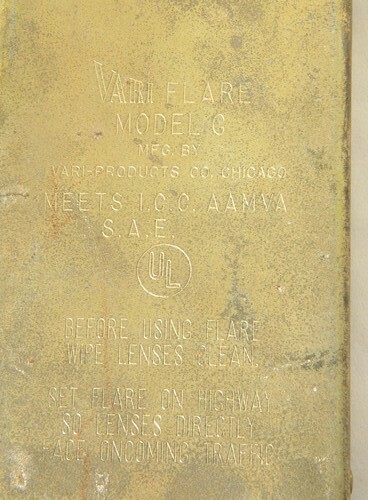 They are marked Vari-Flare - Model G nd are made by Vari-Products, Chicago. 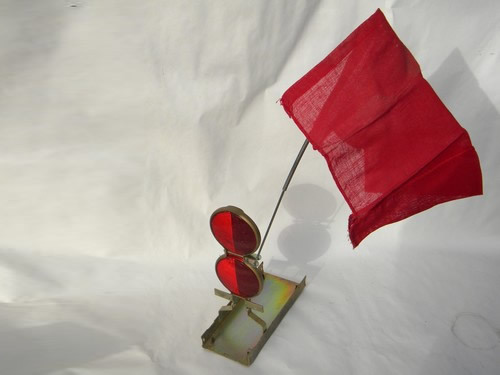 They measure 10" high over the reflectors when setup and 23" high over the red cotton fabric flag. 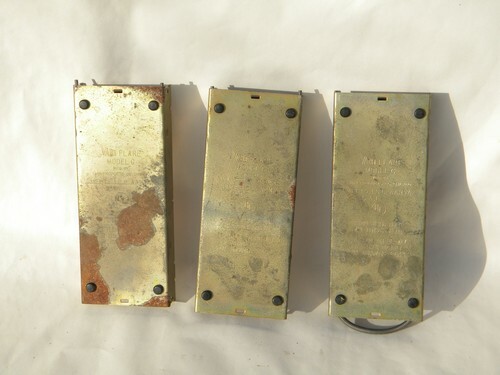 These have some rust to the bases and one of the cloth flags is missing.